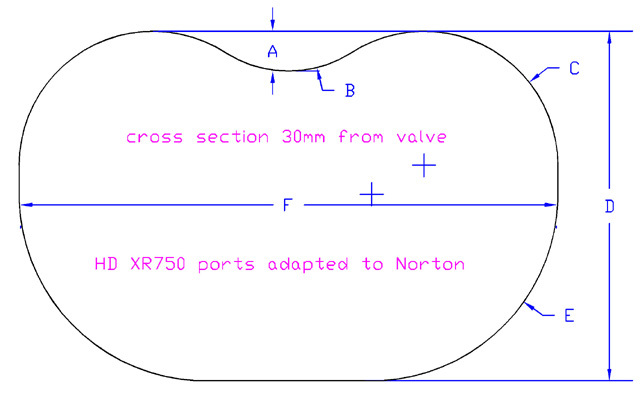 The HD XR 750 ports are the best cylinder filling ports ever designed for a pushrod motor, You can view their shapes, dimensions, print out the Autocad drawings, make templates and do whatever you want to shape Norton ports in this direction. 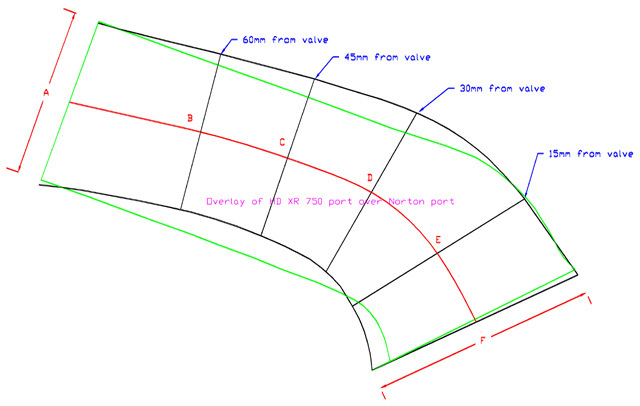 Machine work, craftsmanship and welding are required if you want to match these ideal ‘Narley” ports. 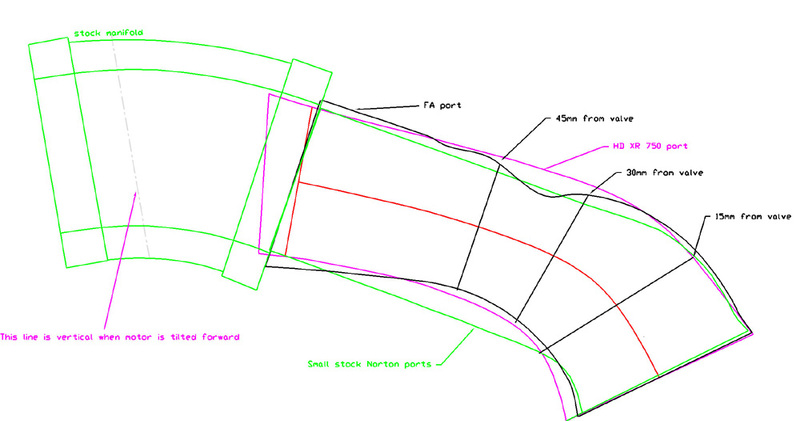 There is much to learn from the info provided and significant gains to be made even if you compromise somewhere between these shapes and the ports outlined in our race manual. 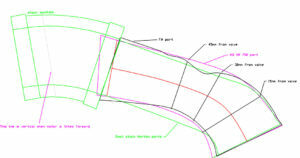 Exhaust pipe and megaphone specs included. 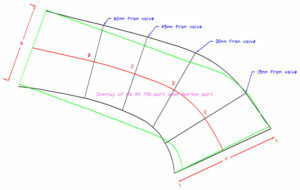 Drawings come in 1st, 2nd & 3rd stages for different levels of tuning for long stroke 750s to extreme race 750 short strokes and larger displacement motors. 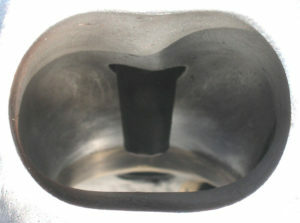 The “cobra head” shape of the intake port (shown below) allows you to raise the port roof without thining or weakening the material near the valve guide. Full Auto photo and drawing below. 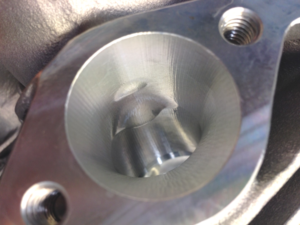 Detailed comparisons between Full Auto, HD XR 750 and Stock ports are provided as well as suggestions for increasing flow for higher RPM and big valve motors with stock or Full Auto heads.